The Backlog is where I review books that have been released for a little while, to bring attention to some older titles. Eight years after the fall of the Old Republic, the Galactic Empire now reigns over the known galaxy. Resistance to the Empire has been all but silenced. Only a few courageous leaders such as Bail Organa of Alderaan still dare to openly oppose Emperor Palpatine. After years of defiance, the many worlds at the edge of the Outer Rim have surrendered. 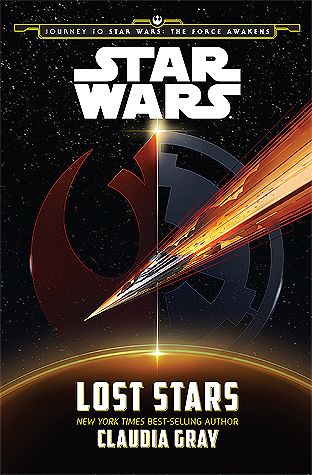 With each planet’s conquest, the Empire’s might grows stronger. I recently watched Wonder Woman last week so I still have a lot of feelings about the movie and the characters. I've been soothing my soul with fanfiction and listening to the soundtrack, but I would love to read this book and experience the characters more. 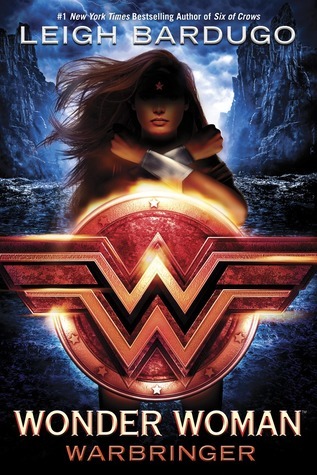 I'm so excited to read about the young Diana, as much as I love the kickass adult Diana. So hi peeps! I haven't been posting on the blog, but I have been reading! I didn't write reviews long enough to warrant an entire post so here are all the reviews I've written for the books I've read. I'm sort of out of practice with writing reviews so forgive me if they don't end up being very informative. I remember why I loved the first book, The Fixer, now that I've read the Long Game. 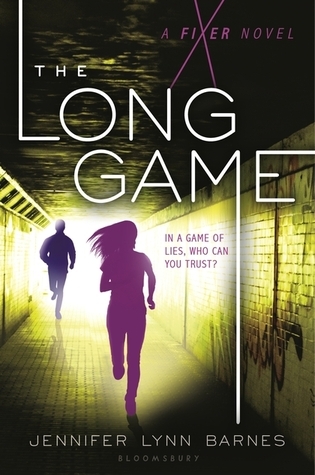 The Long Game is an expansion on the world built in The Fixer, with Tess as the center of the novel. She has become the resident fixer in her school, helping the other students fix their problems, reluctantly. Her school is filled with the who's who of Washington and if problems were huge in normal high school, they'd have a much bigger impact in her school. This series is so very smart and is comparable to conspiracy thrillers or political thrillers like Scandal. It's a genre that I love and I am so enamoured with the way that the series takes place with a teenager, but gives her agency and power that has a real effect on the world. And despite it being a political thriller, it doesn't dumb anything down for the reader and it has strong female characters who quietly wield a lot of power. This series is criminally underrated and Mith (@ BiscotttoBooks ) will proclaim our love for this series forever probably. I highly highly recommend this series. If it's one trope I'm almost always down to read, it's the fake boyfriend/girlfriend trope. 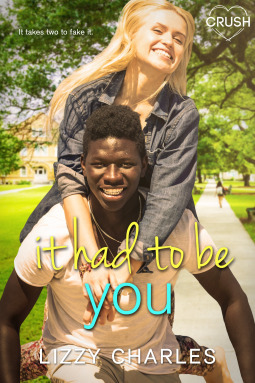 It Had to Be You follows James Parson and Edelweiss Lee as they attend an exclusive boarding school. James is the captain of the football team and the popular guy at school. He pulls a lot of pranks at school and it had been the last straw for James and he must show his father, Colonel Parson, that he is serious about school before he pulls him out. Edelweiss is the daughter of a diplomat and has travelled the world and was homeschooled by her parents. She enrols in boarding school so that she can experience the things normal high schoolers do to prepare for the college life. This was cute. James and Edelweiss had a lot of chemistry and they were super cute together. It was cheesy, but not in a way that was empty. There was substance and depth to the characters and the situations they were in. This was however, one of those situations where one of the conflicts arises from not talking to each other. Which, if I think about it, is probably a running theme in the fake boyfriend/girlfriend trope. Had they communicated better, the whole climax of the book probably wouldn’t have happened. Overall, it was a short and fun read. I enjoyed the characters and their chemistry and that was what kept me drawn into the novel. P.S. I Like You revolves around Lily, who enjoys music and writes bits and pieces of songs every chance she gets. She ends up exchanging notes with another student who uses the same desk. They share the same tastes in music and through the letters they learn about each other and slowly grow to like each other. And throughout all of this, Lily is dealing with her own family problems, her crush and her enemy -- her best friend's ex. I don't really have anything more to say than it was cute, predictable contemporary romance. It's fluffy and sweet and fun. 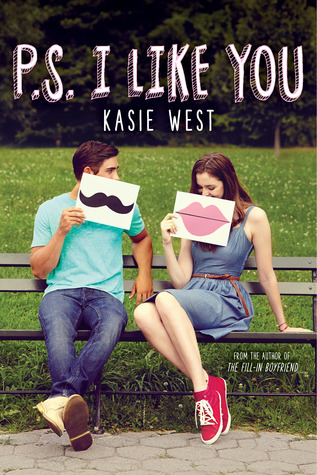 I love Kasie West novels and I look forward to reading her other books.